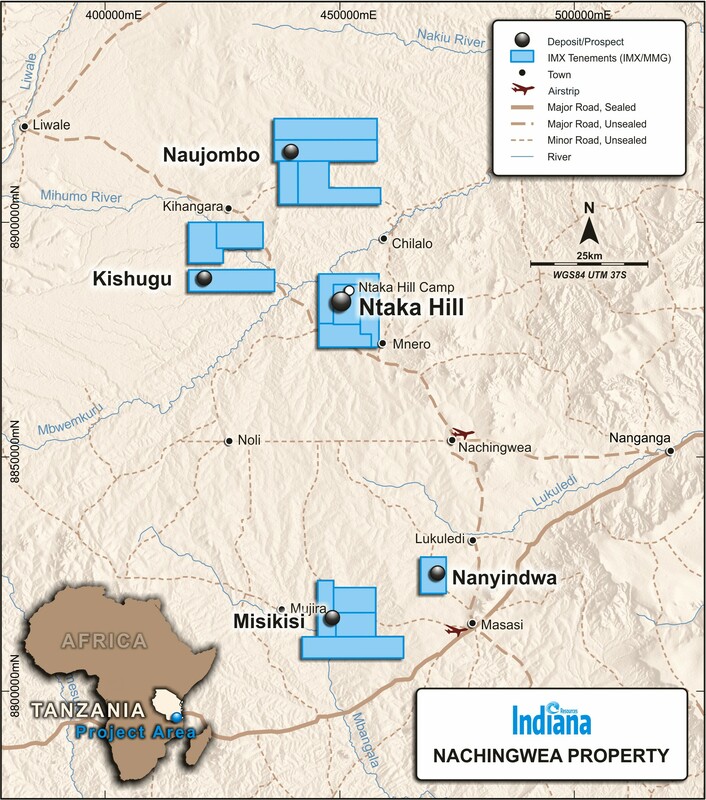 The Ntaka Hill Nickel Project, which comprises of two tenements, is located in the north-eastern area of the Nachingwea Property, in close proximity to key infrastructure. 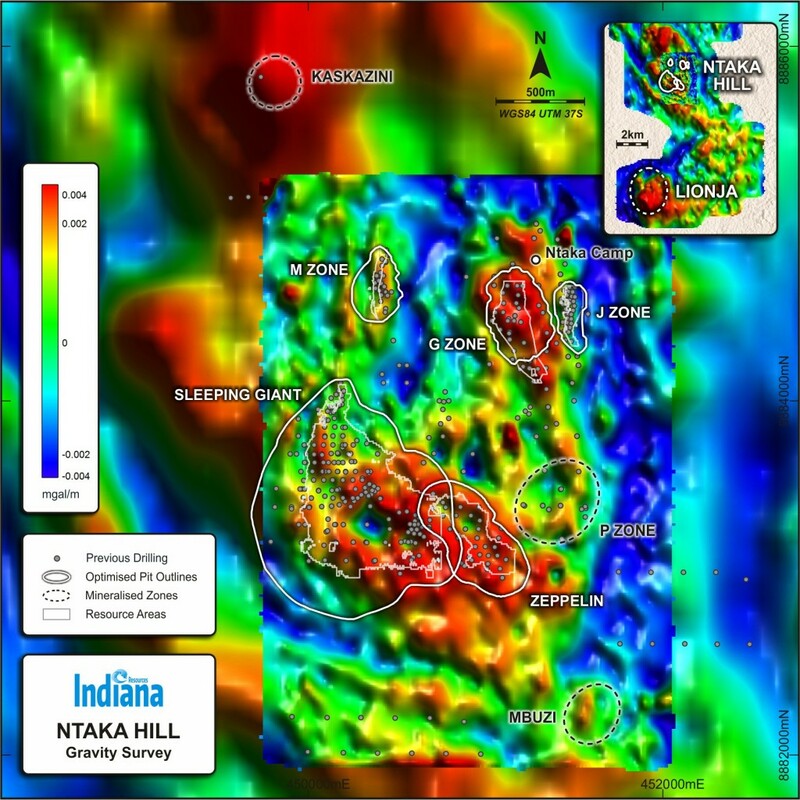 Significant exploration work has been previously carried out at Ntaka Hill and multiple zones of mineralisation have been identified. Significant high-grade intersections have been made at Ntaka Hill. 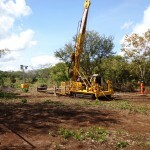 In December 2014, IMX Resources entered into a Project Acquisition Agreement (the ‘Agreement’) with Loricatus Resource Investments, an investment vehicle on behalf of Mauritius-based mining private equity fund, Fig Tree Resources Fund II (‘Fig Tree’), for a joint venture covering the Ntaka Hill Nickel Project. Under the terms of the Agreement, Fig Tree would acquire a 70.65% stake in Ntaka Hill from the Indiana-managed Nachingwea JV between Indiana (85.8%, MMG Limited 14.2%) for consideration of US$6 million in cash, of which US$2 million was paid following receipt of key regulatory approvals and US$4 million payable as Deferred Consideration, upon successful completion by Fig Tree of additional geotechnical studies. Upon payment of the Deferred Consideration, Fig Tree then has the right to maintain its 70.65% interest in Ntaka Hill upon sole funding all work to completion of a Definitive Feasibility Study within 5 years. If Fig Tree did not complete the study, its interest in Ntaka Hill would reduce to 50%. In September 2015, Fig Tree declared a positive outcome to the geotechnical studies, however, was not in a position to effect payment of the Deferred Consideration Fig Tree has reverted to a 30% interest in the joint venture, with Indiana holding 70% and assuming management and control of the Ntaka Hill Project. Fig Tree has in-depth experience in nickel sulphide deposits similar to Ntaka Hill. Their technical work to date has determined that Ntaka Hill has excellent potential to be developed as a high-grade open pit and underground operation. Fig Tree remodelled the existing resource using a cut-off grade of 0.75% nickel, an increase from the 0.2% cut-off grade used in previous resource estimates, and the remodelling is expected to result in a significant increase in the average resource grade at Ntaka Hill. 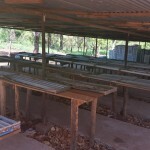 Fig Tree has also performed conceptual mine design and scheduling and, on the basis of the previous resources defined by Indiana, it is targeting a mine producing between 9,000 and 10,500 tonnes of nickel per annum in concentrates for a period of 10 years, at run of mine grades in excess of 1% nickel. In September 2013, IMX Resources entered into a five year joint venture with MMG, structured within 3 stages. MMG was targeting a Tier 1, high-grade mineral resource in the order of 27 million tonnes grading at or above 1.5 per cent nickel, such a mineral resource considered by MMG to be sufficiently material for development in any market conditions. 7m @ 0.72% Ni and 0.32% Cu from 101m (NAD14-394). In August 2014, MMG notified the Company that having met its Stage 1 expenditure commitment of US$10 million, it had elected not to proceed to Stage 2 of the joint venture. Indiana is now responsible for management of exploration programs and MMG has elected to dilute from exploration being undertaken by Indiana. The metallurgy of the mineralisation at Ntaka Hill is excellent. 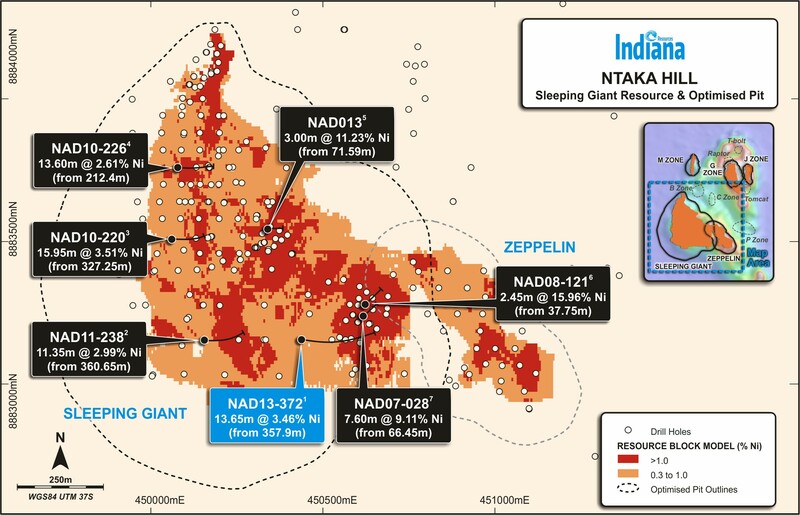 Based on metallurgical test work completed to date, Ntaka Hill mineralisation is expected to produce a high grade nickel plus copper bulk concentrate with very low levels of MgO and clean of other contaminants using conventional flotation. Metal recoveries are expected to exceed 80% over the life of the project. Based on the disseminated sulphide samples tested to date, the expectation is that processing this material will produce a medium grade concentrate with moderate levels of MgO. This would be achieved via the same conventional flotation and achieves relatively good metal recovery given the head grade. The Ntaka Hill project area can be accessed via a 250km road network west from the port city of Mtwara located in south-east Tanzania. The road network comprises 150 kilometres of sealed highway extending west from Mtwara, followed by an all-weather dirt road from the town of Nanganga. Currently, there is no grid power in the Ntaka Hill project area. Electricity in the larger towns of Masasi and Nachingwea, approximately 45 kilometres from site, is supplied by transmission line 24 from the port town of Mtwara where electricity is generated from a natural gas fired power station. General Electric Co and Symbion Power Tanzania have signed a co-operation agreement to develop a 400MW gas-fired power plant to be built in the Mtwara region, that when completed will have the capacity to provide power to south-east Tanzania, including the Nachingwea region and Ntaka Hill. Should a mine and concentrator facility be developed at Ntaka Hill, mineral concentrate could be shipped from the deep-water port at Mtwara. The port has an import/export capacity of 400,000 tonnes per annum (upgradable to 750,000 tonnes per annum) and suitable concentrate storage buildings. At present, the Mtwara port operates at approximately 25-50% of its capacity. The port also currently serves as a base of supply for offshore gas exploration activities.